Automation is revolutionizing business processes, both customer-facing and back-office. At Amazon Go – Amazon’s brick-and-mortar outlets – shoppers can enjoy checkout-free shopping. In Volvo’s accounts payables department, 2,000 supplier invoices are automated every day. 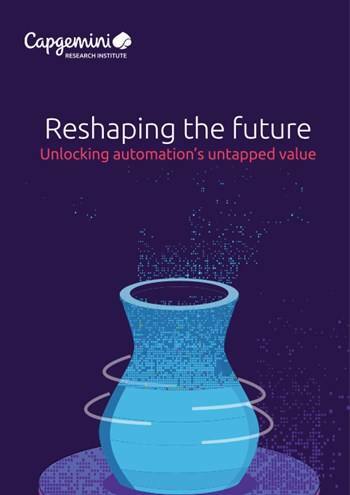 Developments in automation technologies – from robotic process automation (RPA) to artificial intelligence (AI) – are transforming operational efficiency, productivity, and creating new revenue and customer experience opportunities. Companies are expected to invest significantly in pursuit of these gains. For example, the market for cubicle artificial intelligence – by which we mean AI for office and administrative, sales, professional, and management jobs – is expected to grow to $48.5 billion by 2021. Key recommendations for how organizations can scale their automation efforts, drawing on the best practices of automation leaders.